Norwegian Hardanger fiddle specialist Nils Okland has a broad range of musical interests, as illustrated by his eclectic discography. His solo album Monograph (ECM, 2011) spotlighted his lyrical, folkloric side; Lysøen—Hommage à Ole Bull (ECM, 2011) with keyboardist Sigbjorn Apeland payed tribute to the Norwegian classical tradition; Lumen Drones (ECM, 2014) found him making trance music with two rock musicians; and the recent Felt Like Old Folk (Smeraldina-Rima, 2016) collaboration with the Belgian duo Linus was almost completely improvised. He was also a member of Thomas Stronen's "Time is a Blind Guide" band, although he does not appear on the recording. 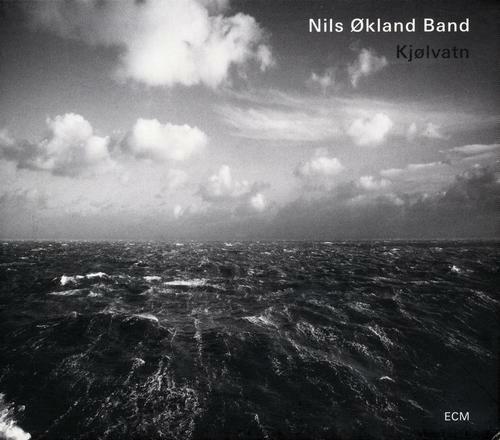 The Nils Økland Band is entirely acoustic, bringing in stylistic influences from many sources, with classical music and Norwegian folk music the most prominent. Økland says that the working method was inspired by the early baroque practice of using sketches as the basis for new music. One of his featured instruments here is the viola d'amore, a baroque era instrument that employs sympathetic drone strings along with the main strings, much like the Hardanger fiddle (he also plays the violin). While the entire band is credited with the arrangements—plus one track co-created by three members—the composition credit goes to Økland, and his strings are very much the lead voice. "Mali" opens with rhythmic hand drumming, but the sound is definitely more European than African. "Undergrunn" features a melody reminiscent of the Scottish/ American folk song "Black Is the Colour (Of My True Love's Hair)," and percussionist Håkon Mørch Stene switches to vibraphone, providing atmospheric tremolando backing. The title tune is elegiac, spotlighting frequent ECM bassist Mats Eilertsen, while "Fivreld" has a sweeping theme accompanied by an insistent percussive pulse. "Blå harding" breaks things down to a lyrical, rubato duet with Sigbjørn Apeland's harmonium (he was also Økland's partner on the Ole Bull project, where he played piano as well as harmonium), and the program closes with "Amstel," which includes call and response with saxophonist Rolf-Erik Nylstrøm. All of the band members make significant contributions, and the recording location has a significant role as well. Natural resonance is provided by the Østre Toten stone church, which complements both the floating, drone-based selections and those that are more dynamic. With Økland's ever expanding discography, Kjølvatn may be the best place to hear most of his musical interests in one place.